Baseline Assessment Report (BAR Report) - 30 Minutes - An efficient and comprehensive way to asses the current level of the player. 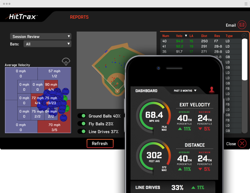 Evaluating key metrics, this option is used to help identify Strengths and Weaknesses to formulate a game plan in future lessons, with or without HitTrax. 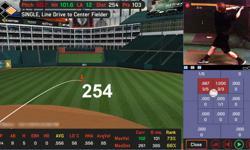 HitTrax Analytical Lesson With Video Analysis - One Hour - This is a one time lesson with a trained instructor which includes a video analysis and BAR report. 6 Pack of half hour lessons - Includes 1 BAR report and Video Analysis. Half-hours can be stacked back to back for 3 one hour lessons. 10 Pack of half hour lessons- Includes 2 BAR reports and 2 Video Analysis (on the first and last day of the packages). Half-hours can be stacked back to back for 5 one hour lessons. If you are interested in any of the training or gaming sessions available through HitTrax please call The Edge at 207-536-0405 or email info@edgesportsmaine.com.